Background Studies of very low-birth-weight (VLBW) children discharged from neonatal intensive care units have shown delays in receipt of routine childhood immunizations. However, a recent study of VLBW children in 3 health maintenance organizations found no significant delays in immunizations. Objective To assess the risk of immunization delays for moderately low-birth-weight (MLBW; 1500 g-2499 g) and VLBW (<1500 g) children compared with normal-birth-weight children in a nationally representative birth sample. Design Logistic regression analysis using the 1988 National Maternal and Infant Health Survey and the 1991 Longitudinal Follow-up Survey. Setting Nationally representative sample of children born in 1988 in the United States. Participants A total of 8285 children whose mothers completed both surveys. Main Outcome Measures Age at receipt of each of the first 4 doses of diphtheria and tetanus toxoids and pertussis vaccine, the first 3 doses of polio vaccine, and the first dose of measles-mumps-rubella vaccine for MLBW and VLBW children, and normal-birth-weight children. We also examined whether children were up-to-date for all immunizations at ages 12, 24, and 36 months based on birth-weight groups. Results Very low-birth-weight children received their first 3 doses of diphtheria and tetanus toxoids and pertussis vaccine and their first 2 doses of polio vaccine significantly later than normal-birth-weight children (P <.001). Very low-birth-weight children were significantly less likely to be up to date for all immunizations at ages 12 months (odds ratio [OR] = .556; P = .001), 24 months (OR = .439; P <.001), and 36 months (OR = .446; P <.001) compared with normal-birth-weight children. Conclusion Very low-birth-weight children are at risk for immunization delays compared with normal-birth-weight children. Most previous research on immunization in preterm, low-birth-weight (LBW) children has been limited to children who have been hospitalized in a single neonatal intensive care unit (NICU). Vohr and Oh10 demonstrated that LBW children previously hospitalized in their NICU received the first 3 doses of diphtheria and tetanus toxoids and pertussis (DTP) on a delayed schedule. Magoon et al11 demonstrated delays in both DTP and polio immunizations in LBW children who had been hospitalized in their NICU. However, the findings of these investigations may not be generalizable. Because some LBW infants do not require admission to an NICU, their experiences are not captured by such center-based studies. Similarly, studies that assess immunization rates of LBW children in a health maintenance organization12 fail to evaluate the effect of insurance status on immunization delays. To better understand the effect of LBW on immunization practices, we examined data from the 1988 National Maternal and Infant Health Survey (NMIHS) and the 1991 Longitudinal Follow-up Survey to explore the relationship between LBW and immunization delays in a nationally representative sample. Although these surveys are several years old, they remain the only nationally representative data sets that provide detailed individual-level data on the health experiences of children during their first 3 years of life. Although there have been many efforts to improve immunization rates in young children during the last few years, none of these have been specifically directed at LBW children. Thus, the absolute rate of on-time immunizations may have increased among children younger than 3 years, but there is no reason to believe that the relative differences in immunization delay between LBW and normal-birth-weight (NBW) children has changed since the NMIHS and 1991 Longitudinal Follow-up Survey data were collected. The purpose of this study was to determine, in a nationally representative sample, whether moderately low-birth-weight (MLBW) and very low-birth-weight (VLBW) children are at increased risk of immunization delays up to 36 months of age compared with NBW children. The study focuses on the child's age at receipt of the first 4 doses of DTP, the first 3 doses of polio vaccine, and the first dose of the measles-mumps-rubella vaccine (MMR) (4:3:1 series). This investigation analyzed data from the 1988 NMIHS and the 1991 Longitudinal Follow-up Survey.13,14 The 1988 NMIHS used a nationally representative sample of 9953 children born in the United States that year and linked birth certificate data to surveys of mothers. African American and LBW children were oversampled. The mothers of 8285 children participated in both the 1988 and 1991 surveys; these 8285 mothers and their children are the subjects of this study. The child's age at receipt of each vaccine was based on provider records. The 1991 Longitudinal Follow-up Survey asked the participating mothers to list all outpatient or inpatient settings where the index child had received medical care since birth. Each provider listed was subsequently contacted and asked to answer several questions, including an inquiry about immunizations administered at each visit; alternatively, providers could choose to send a copy of the child's medical record from each visit or hospitalization. No provider information was available for 2209 children (27%) because either the mother did not list any providers, or none of the listed providers returned the survey. Because not all the providers listed by the mother returned the survey, 2226 children (27%) had incomplete provider information. Of those with incomplete provider information, 380 children had documentation of receipt of all 8 immunizations examined in this study. These children were reclassified as "complete" with respect to immunization records. The provider records included only the type of immunization and the month and year of administration, but did not indicate which dose in the series the immunization represented. For the children with some immunizations but incomplete provider records, there is no way of knowing which doses were missing. Thus, 2209 children had no immunization data, 1846 had incomplete immunization data, and 4230 had complete immunization data. Because the goal of this study was to use population estimates to examine the timing of immunizations for VLBW, MLBW, and NBW children, and because there were many cases with missing and incomplete immunization records, we redistributed the statistical weights of those children with missing or incomplete immunization data to children of similar demographic characteristics who had complete provider records. To do this, 864 subgroups were created using the demographic variables of insurance for prenatal health care, place of residence (urban, rural), household income in 1988 (<$20 000 or ≥$20 000), maternal age at child's birth (17-20 years, 21-34 years, ≥35 years), maternal level of education (< high school graduate, high school graduate, some college or other formal education beyond high school), mother's marital status, mother's race, and the child's birth weight (<1500 g, 1500-2499 g, ≥2500 g). These characteristics were chosen because the complete and incomplete cases showed significant differences in these variables. The statistical weights of those cases in the missing/incomplete groups that fell into a subgroup defined by these demographic variables were added up and redistributed equally among those cases in the subgroup with complete provider records. For some subgroups, there were cases in the missing/incomplete group but no corresponding cases in the complete group. In these situations, the cases were assigned to a similar subgroup based on a 1-level change in one of the variables. These cases were matched on 7 of the 8 variables. Most often, the change in level was in maternal age, household income, or maternal education. Because these were continuous variables that had been categorized, the case was reassigned to the subgroup with the closest characteristics to the one that could not be matched. For example, if the mother's age was 22 years, the case was matched on 7 of 8 variables and reassigned to the 17 to 20 years subgroup, not the 35 years or older subgroup. The 4230 children with complete provider records were reweighted to represent the 3 898 922 children born alive in the United States in 1988. This redistribution of weights is a form of imputation such that the cases with the incomplete data are represented by all of the complete cases with similar demographic characteristics. For purposes of this study, VLBW was defined as less than 1500 g. Moderately low birth weight was defined as 1500 g to 2499 g. Low birth weight was defined as less than 2500 g. Normal birth weight was defined as 2500 g or greater. In the sample, 447 children (10.6%) were classified as VLBW and represented 1.2% of the population of live births, and 648 children (15.3%) were classified as MLBW and represented 5.7% of the population of live births. Only immunizations administered during visits when the child was aged 36 months or younger were included in this study. The mean age at receipt of each dose of DTP, each dose of polio vaccine, and MMR was compared for VLBW, MLBW, and NBW children using an adjusted Wald statistic.15 Contingency tables were created for the age at immunization by birth weight groups and the relationship was tested with an F statistic that accounts for the survey design. The relationship between birth-weight groups and whether the infant was up-to-date (UTD) for all recommended immunizations at 12 months, 24 months, and 36 months of age was assessed using logistic regression models. The goal of this analysis was to assess the relationship between birth weight and immunization status, not to develop a predictive model of immunization status. Therefore, other variables were added to the logistic regression model only when they were determined to be confounders or effect modifiers, not when they were significant predictors of immunization status. Confounders were defined as variables that, when controlled for, significantly alter the odds ratio (OR) for birth-weight group.16 In this analysis, to be considered a confounder, the variable had to (1) elicit a 15% change in the OR for birth-weight group and (2) have no more than 5% of the values missing. Effect modifiers were defined as variables that have a significant interaction with birth-weight group.16 This is manifested by the ORs for birth weight groups being different for different levels of the effect modifier. To be considered an effect modifier (1) the interaction between the variable and birth-weight group had to be significant at the P = .01 level, (2) the variable had to have no more than 5% of the values missing, and (3) the joint occurrence of birth weight group and the effect modifier had to occur in at least 5% of the subjects. All analyses were performed using STATA survey commands17 to account for the complex survey design. Table 1 and Table 2 present the mean age at which VLBW, MLBW, and NBW children received their first and second doses of DTP and polio vaccines. Very low-birth-weight and MLBW children received their first and second doses of DTP, and their first and second doses of the polio vaccine significantly later than NBW children. Very low-birth-weight children also received their third DTP vaccine significantly later than NBW children, but this was not true for MLBW children. There was no significant difference between VLBW and NBW children or MLBW and NBW children for age at receipt of the fourth dose of DTP, third dose of polio, or MMR among children who received these immunizations in the first 36 months of life. Table 3 provides the crude OR for the effect of birth weight on children being UTD for all immunizations at 12 months, 24 months, and 36 months of age. Very low-birth-weight and MLBW children were significantly less likely to be UTD for all immunizations at 12 months of age (3 doses of DTP and 2 doses of polio) and at 24 months and 36 months of age (4:3:1) than were NBW children. No demographic or neonatal variables met the criteria to be considered as confounding variables for UTD at 12 months, 24 months, or 36 months of age. Table 4 presents the ORs of being UTD at 12 months of age for VLBW children compared with NBW children, stratified on the mother's level of education and whether the child was covered by private health insurance. Table 5 provides the corresponding percentages of each birth-weight group, stratified on the same 2 variables. These variables, private health insurance coverage for the child and maternal level of education, showed a significant interaction between VLBW and UTD at 12 months of age, and thus were the only variables considered to be effect modifiers at this age. Among children not covered by private health insurance, VLBW children were significantly less likely to be UTD at 12 months of age than were NBW children (OR = .215; P<.001). Among children covered by private health insurance, the odds of being UTD at 12 months of age for VLBW children were no different than the odds for NBW children (OR = .880; P = .54). Among children whose mothers had less than a high school education, VLBW children were significantly less likely to be UTD at 12 months of age than were NBW children (OR = .103; P = .002). Among children whose mothers had completed high school, the odds of being UTD at 12 months of age for VLBW children were no different than the odds of being UTD for NBW children (OR = .575; P = .07). Table 6 and Table 7 present the ORs for being UTD at 24 months of age for VLBW and MLBW children compared with NBW children and the corresponding percentages of each birth-weight group stratified on whether or not the mother's prenatal care was covered by insurance. Only this variable, whether or not the mother's prenatal care was covered by health insurance, showed a significant interaction with LBW and UTD at 24 months of age, and was thus considered an effect modifier. Low-birth-weight children whose mother's prenatal care was not paid for by insurance were significantly less likely to be UTD at 24 months of age compared with NBW children (OR = .568; P = .001). In contrast, if a mother's prenatal care was covered by insurance, the odds of LBW children being UTD at age 24 months was no different than that of NBW children (OR = .927; P = .56). No variables met the criteria to be considered an effect modifier at 36 months of age. This study is unique for 2 reasons. First, we analyzed a nationally representative survey with reweighting of the statistical weights to represent the total number of children born in 1988. Many studies that used these data sets either discarded the weights of those with missing values18 or conducted the analysis with no weighting.19 Second, the analysis focused on birth weight as the only risk factor for immunization delay. Additional variables were added to the model only if they were determined to be confounders or effect modifiers, not because they were significant in predicting immunization status. The goal of this analysis was not to create a model to predict immunization status, but to assess the relationship between birth weight and immunization status. In this population-based study, VLBW and MLBW children were at significantly greater risk of immunization delays during the first year of life than NBW children. Very low-birth-weight and MLBW children remained significantly less likely to have completed the 4:3:1 series by 36 months of age. The relationship between LBW and immunization delay was strong, and it remained significant even after statistically adjusting for many socioeconomic and demographic variables that have been identified as confounding variables in other immunization studies. Our findings stand in contrast to those of Davis et al,12 who reported that children "born prematurely were vaccinated at levels approaching that of the general population." Although Davis et al describe their study as being population-based, their sample was limited to children who were continuously enrolled in 1 of 3 health maintenance organizations from birth to 24 months of age. 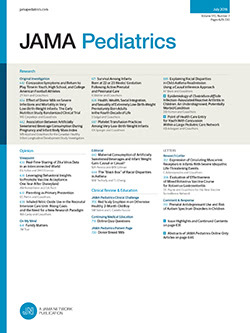 Other studies have shown that a lack of health insurance or gaps in health insurance are associated with children having fewer immunizations, less preventive care, and a lower chance of having a regular source of primary care.14,20,21 Kogan et al14 demonstrated that nearly one quarter of children in the United States were without health insurance for at least 1 month during their first 3 years of life. Our study shows that lack of health insurance significantly increases the risk of immunization delay in VLBW children. At 12 months of age, VLBW children who lacked private health insurance coverage were significantly less likely to be UTD than NBW children; whereas VLBW children with private health insurance were as likely to be UTD as NBW children. The inclusion of children with diverse backgrounds who received care in a variety of settings with a variety of financial arrangements to provide their care may explain much of the difference between our findings and those of Davis et al.12 Our study emphasizes the critical role that access to care plays in immunization status of LBW children. Some LBW children may be considered to have special health care needs. Many LBW children receive subspecialty care in the first year of life for such problems as chronic lung disease, apnea of prematurity, and retinopathy of prematurity. Two studies have documented that children with special health care needs or children seeking subspecialty care are likely to experience immunization delays.24,25 Our study further emphasizes that the focus of improving immunization rates needs to be broadened to include children with special health care needs. Our study has several limitations. The most obvious shortcoming is the age of the data. Immunization recommendations have changed to include more vaccines (Haemophilus influenzae type B, hepatitis B, Pneumococcus, varicella) which may make the challenges of immunizing these small infants even greater. Since the measles outbreak of 1989-1991, there have been major public health efforts to increase immunization rates among young children in the United States.26 Despite these changes, there has been no focused effort to address the issue of immunization delays in LBW children. We suggest 2 possible courses that immunization practices for LBW children may have taken in the past decade. First, LBW children, including those with Medicaid or no insurance, now may be immunized at "rates approaching the general population," as Davis et al12 described. However, a second possibility is that the absolute immunization rates among LBW children have risen parallel to, but still lower than, the increase in immunization rates among young children in general in the United States. If the second scenario is correct, despite some improvement, LBW children continue to lag behind NBW children in absolute immunization rates. To our knowledge to date, our study is the first assessment of the relationship between LBW and immunization delays that used a nationally representative sample. Because the NMIHS oversampled LBW births, it provides a more robust estimate of the effect of LBW on immunization status than would be possible in smaller samples. We found a very strong relationship between LBW and immunization delays. No variables played an important role as confounding variables, and only a few variables were significant effect modifiers. Our study demonstrates a need for intense focus on the relationship between LBW and immunization status. Further study is needed to gather more current data about immunization patterns among LBW children and to develop effective interventions to improve immunization rates in this population. Accepted for publication October 13, 2000. The research was supported by a grant from Children's Research Institute, Columbus, Ohio. Presented at the annual meeting of the Pediatric Academic Societies, Boston, Mass, May 14, 2000. Corresponding author: Diane L. Langkamp, MD, MPH, Children's Hospital, Room H310, 700 Children's Dr, Columbus, OH 43205 (e-mail: dlangkam@chi.osu.edu).